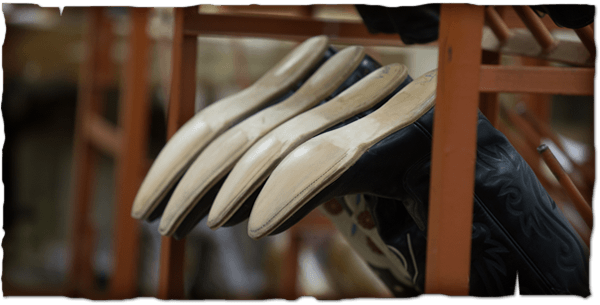 When it is time for new soles and heels on your Little's Boots bring or send them to us and let our craftsmen repair your boots. We replace the outsoles, welt and heels. New welts are essential in resoling boots to ensure a high-quality job. New rubber heels - refinish soles and heels, clean and shine. Leather preservers are applied that penetrate into fibers to preserve, strengthen, beautify and renew old leather.